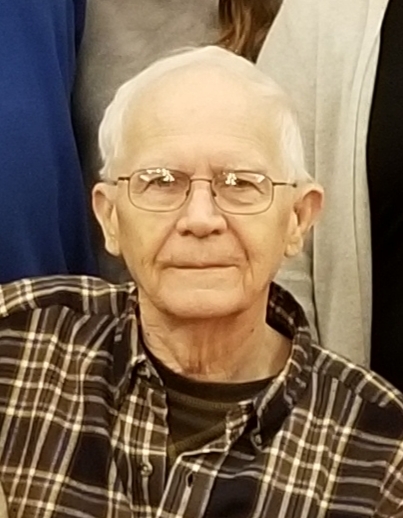 POLAND - Roger D. Hughes, 82, died Sunday morning April 14, 2019, at his home. He was born Oct. 7, 1936, in Youngstown, a son of Joseph R. and Virginia (Johnson) Hughes and was a lifelong area resident. Roger was a 1954 graduate of South High School and earned his Bachelor’s Degree in Biology from Bryan College in 1959, where he also played basketball. Roger worked as a driver/salesman for UNSCO. He was a member of Evangel Baptist Church in Boardman, where he taught Sunday school and served on several committees, and was also an Eagle Scout from Troop 13. Roger served in the U.S. Army Reserves at Fort Bragg, with the 348th Engineer Corp.
Roger was a coach for many years for Poland baseball and also helped form the Poland Saturday youth basketball program. In his free time, Roger enjoyed oil and acrylic painting. Roger and his wife also enjoyed watching their children and grandchildren participate in all of their activities and they enjoyed playing golf together. Besides his wife, the former Ruth Johnson, whom he married in August of 1963; he leaves three sons, Douglas (Diana) Hughes of Struthers, Richard (Patricia) Hughes of Poland and Duane (Kristine) Hughes of Berlin Center; as well as seven granddaughters, Courtney (Kyle) Barson, Aleah, Abby, Brandi, Alexis, Jessica and Alyvia Hughes. Besides his parents, he was preceded in death by his brother, Gary Hughes; his sister, Bonnie Hughes Page; and a grandson, Tyler Hughes. Funeral services will be held at 11 a.m. on Wednesday, April 17, 2019, at Evangel Baptist Church, 5248 Southern Blvd., Boardman, with Pastor Randy Brunko officiating. Friends may call Tuesday from 4 to 7 p.m. at the Davis-Becker Funeral Home in Boardman and one hour prior to the services on Wednesday at the church. Interment will follow the service at Lake Park Cemetery. In lieu of flowers, the family requests material contributions take the form of donations either to Positive Impact Food Pantry at the church or to Hospice of the Valley, 9803 Sharrott Road, Poland, Ohio 44514. Please visit www.beckerobits.com to send condolences.